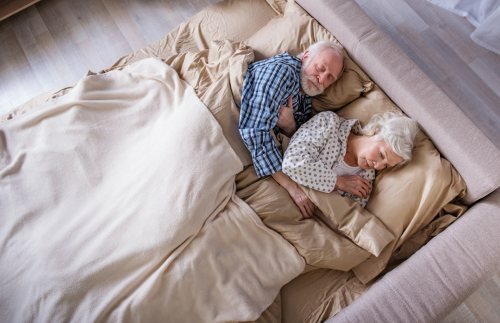 Do older people really sleep less? Here’s the gist! Do You Really Need Less Sleep As You Get Older? Have you ever heard that older people need less sleep than their younger counterparts? This is one of those accepted pieces of wisdom we often accept without questioning the origin of the validity thereof. When you start to think about it, there are quite a few holes to poke in this particular old wives tale - after all, isn’t sleep the time when our bodies and brains rest and regenerate, and wouldn’t you actually need more of it as your body ages? However, it turns out, there might well be some truth in the fact that older people tend to sleep less, but it is not exactly related to the fact that they need less sleep, but rather because the part of their brain that is associated with sleep is no longer as active as it used to be. The entire thing is pretty scientific, but we’ll try to boil it down to the basics. According to a longitudinal study by Clifford B. Saper, MD, PhD (James Jackson Putnam Professor of Neurology and Neuroscience, Harvard Medical School) certain neurons in our brains that are associated with the ability to fall and remain asleep die off as we get older, which in turn causes shorter periods of sleep. Brace yourself for a lot of long words! Right, so, the ventrolateral preoptic nucleus is the area in the brain that controls sleep induction and maintenance. According to Dr Saper's study, which monitored 1000+ individuals' sleep patterns from the age of 65 until death, the amount of neurons in this area decreased dramatically as we get older. The particular type of neurons that died off were found to contain galanin - a protein-like molecule that acts as a neurotransmitter and is found in sleep-active cells (i.e. neurons that fire while we snooze). Although there is more research to be done in this regard, it is Dr Saber's believe that it's the loss of neurons that contain galanin that leads to shorter periods of sleep as we grow older. As you can tell, our sleep habits and needs change quite a bit as the years go by. As such, it makes sense to reevaluate your sleep surface regularly. When doing so, we highly recommend that you take the opportunity to shop around for a mattress that is tailor-made to your comfort requirements. Visit your nearest Bed King branch in store to try out the Comfort Solutions Lab®, an exciting new system that assesses your body’s unique pressure points and recommends the comfort-graded mattress best suited to your needs.